Get Instant Pricing & Place an Order! Advance Disposal is the leading Sacramento Dumpster Rental company of choice. We are your local, fast, professional and affordable trash/ dumpster rental in the Greater Sacramento Area, give us a call today. 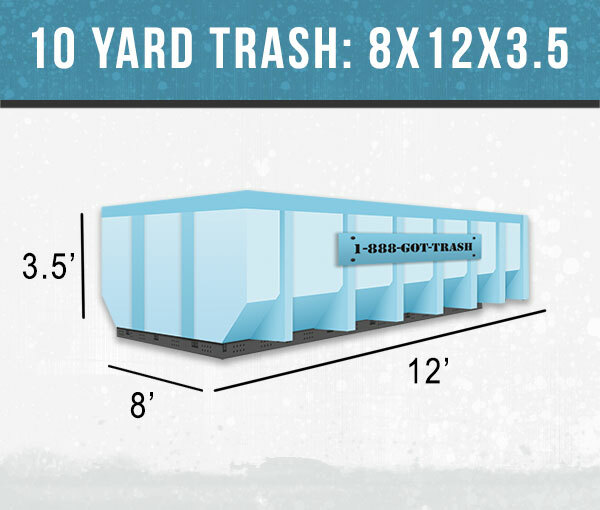 We have many dumpster rental options for every home owner or contractors needs. 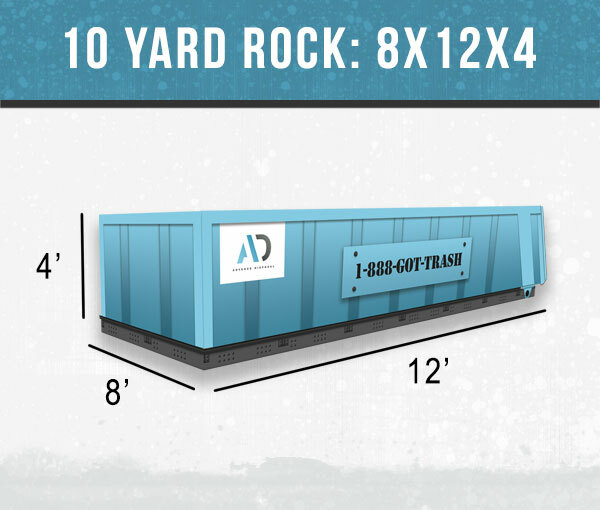 We offer 10 yard trash that measures 8x12x3.5 with Angled Sides as well as our 10 yard rock box which is 8x12x4. If you are looking for a larger dumpster to rent, consider our 20 yard trash which measures 8x16x5 or our 40 yard trash which measures 8x22x7. Whatever your dumpster rental needs in the Greater Sacramento area, give us a call a request a dumpster rental today. Our Service Area in Greater Sacramento: Please refer to our service area map to see which cities we service and do not service in Greater Sacramento. Their are certain areas that we are not able to service and we do not want to waste your time. If you have any questions about our service area, please view our map to the right or see a large map on our rent a dumpster page. Click the pricing/order button to input your zip code and other details and get a price quote instantly. If you’re ready to order just fill out the rest of the form and your bin can be dropped off within 24 hours guaranteed, or you get 5 days of extra time free! With a Delivery Within 24 Hours Guarantee* (details) in Sacramento County, you cant go wrong with Advance Disposal. Locally owned and operated in Sacramento, Advance Disposal can be at your location given a moments notice. Take a look at our options and request a quote on the given dumpster sizes. If you have any questions about what size might be best for you, please give us a call. For starters, it took forever to convince my husband to rent a dumpster because we both thought dumpster rentals were way overpriced. Then I found Advance Disposal on Yelp. At first glance, I thought maybe the reviews were too good to be true, but I figured I’d contact them for a quote anyway. Well, the quoted price was pretty great so we rented the 10 yard bin for 10 days. Their price included fees, dropoff, pickup, etc. When we needed to extend our time by a few days, they were totally reasonable and worked with us. Thanks to them, we’ve finally cleared out our garage. We would definitely use Advance Disposal again!